Ever wonder how to make flax eggs? 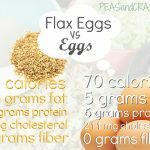 Today I have a fun flax egg recipe and a comparison chart so we can spot the differences between conventional chicken eggs and their flax egg counterpart! If you’ve stalked my last few adventures in baking, you’ve probably noticed that I’ve been batting for the flax egg team lately. So far they have complemented every recipe I’ve used them in and their ability to turn from finely ground seeds to an eggy consistency still amazes me. I might have to try them as the “glue” for my veggie burgers next! UPDATE: I’ve been adding flax eggs all my veggie burger recipes and I’m head over heels in love! Try it! To make a flax egg, scoop 1 tablespoon of ground flax into a small bowl and slowly add 3 tablespoons of water, whisking as you combine. Place in the fridge for a minimum of 15-20 minutes or an hour if you plan ahead. Once it reaches an eggy consistency you’re ready to go! Both flax and chia eggs make a fabulous binder for both sweet and savory recipes, especially baked goods. Just don’t expect to sit down with a big plate of scrambled flax eggs for breakfast… I’m certain that might be a tad odd, even for me! Always the scientist, I decided to do a little nutrition analysis. Nutrient breakdown: The flax eggs have approx. 35 calories, 2.5 grams of fat, 1.5 grams of protein, 0 mg cholesterol, and 2 grams of fiber. One large egg has about 70 calories, 5 grams of fat, 6 grams of protein, 211 mg cholesterol and 0 grams of fiber. I love that the flax eggs contain half the fat and calories and also how they add fiber plus that little something extra to my baking adventures with fruit and veggies. Ok *and* with chocolate. There, I said it. CHOCOLATE. Save calories in one place so you can tack them on where it counts, right? I should be using avocado or olive oil as an example but I know most of you heart the sweet stuff so… chocolate it is! Coincidentally, I’ll be back later today with the flax-friendly chocolate recipe I’ve been teasing your brains out with for the last week. 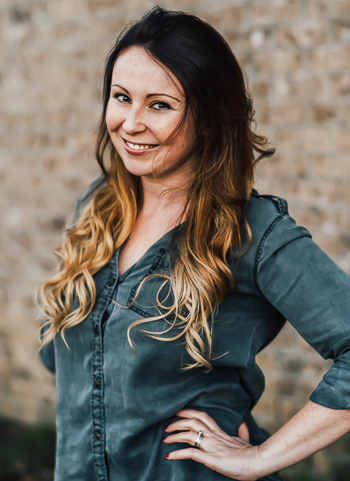 I wanted to make one last batch to unleash on my friends before posting it and I’m ridiculously giddy with the results. I will never ever be able to forget the image of the queen of fitness herself (Love you Shauna!) stuffing her face with this seconds before Zumba class. Ever wonder how to make flax eggs? Here's a quick and easy flax egg recipe! To make your flax egg, scoop 1 tablespoon of ground flax into a small bowl and slowly add 3 tablespoons of water, whisking as you combine. Once it reaches an eggy, gelatinous consistency you're ready to go! Nutrition Facts below are estimated using an online recipe nutrition calculator. If you get a chance to try this flax egg recipe out, let me know! Leave some love in the comment form below or tag your photos with @peasandcrayons on Instagram so I can happy dance over your creation. I love using flax eggs and use bananas and applesauce a lot to sub for oil. I love all your fun photoshop photos. Makes me want to get photoshop! Yep, I’ve tried a bunch of these! Flax eggs I did for a while, I’ve also learned that applesauce can sub in for OIL, and yogurt for butter/fats… sometimes. Depends on the recipe but these actually work fairly well, using non-fat-free yogurt. Definitely good to have options! I’ve never tried replacing eggs in a recipe because I love eggs, but I’ve replaced sour cream and/or oil with Greek yogurt and applesauce. Worked like a charm! Happy to help!! <3 I can’t believe I went so long without making them! LOVE em! This is news to my ears! My daughter is allergic to eggs. Thanks for the info. Yup yup! 1T ground flax + 3T water + refrigeration = 1 flax egg! The flax bread was SUPER yummy. Can’t wait to try to make it myself… or steal more of yours sometime. I am team chia eggs! quicker! Omegas! Also, is that the chocolate monstrosity? 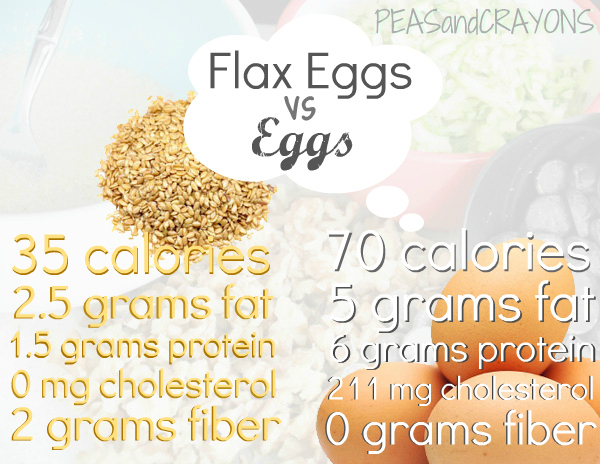 I use flax eggs all the time! I tend to not think ahead at all though, and I have found that putting the flax and water together in a little bowl and then microwaving it for a little bit gives it that same eggy consistency in a few seconds (it cooks like oatmeal). I actually did my science experiment in class last year as baking a bunch of cupcakes and using different egg replacers (flax, banana, and ener-g) and seeing how the kids noticed any changes. But my favorite is to use extra baking powder and vinegar, it gives it that super fluffy boost! I’m looking forward to that recipe – that looks really good! I’m also forwarding this post on to my nutritionist son – I’m really intrigued by the flax egg thing. Hey lady! I can’t wait to try that! Are the measurements you gave equivalent to one egg? Flax eggs are always great replacement and i use them on regular basis for baking! And btw those brownies look delicious. Thank you so much for posting this! I’ve been curious about flax eggs and I’m also glad to find out that they’re GF. I have always been more of a chia egg fan, but for the last few months my flax eggs are getting more play. they like it, I like them. That brownie looks delicious! I regularly replace eggs with applesauce and yogurt to keep baked goods moist! You are such a tease!! I would love to experiment with flax eggs! I’ve used applesauce in place of butter but not eggs. I’ve used bananas in place of eggs but you can definitely taste the banana flavor. Can’t wait for the recipe looks delicious! I love your photoshop fun 🙂 I really need to figure out how to do that ASAP! Always looks so neat! i love using flax eggs! more moisture. Yummy to my tummy, right?